Filmmaker Darius Devas has created a stunning film about Mbatha Nguta. 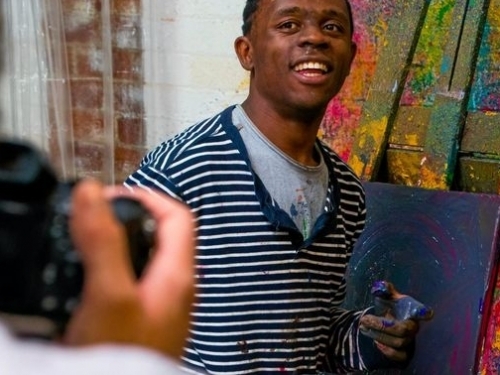 Mbatha doesn't speak but has found a powerful way to express himself through painting and dancing. He is a Kenyan-born artist, living in Lismore. The initiative is funded by Screenworks and is supported by Create NSW in partnership with the ABC, is designed to showcase the creative skills and talents of artists and filmmakers with a disability in regional NSW. In May 2017, eight regional NSW filmmakers each received $5000 to make their short films. All eight films are streaming on ABC iView now.